Well that turned out pretty good I thought. 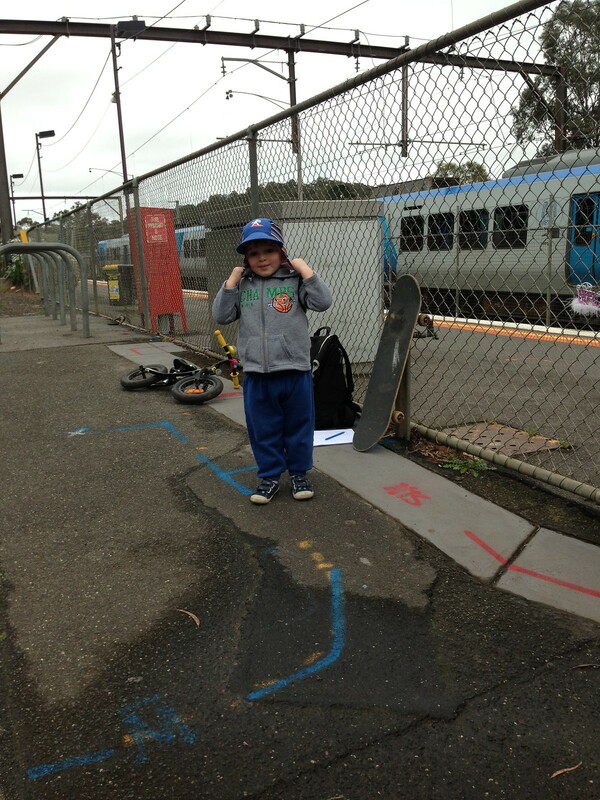 49 riders took off from Hurstbridge Station on a cloudy but mostly rain-free day - great riding weather, not too hot, not too cold. The send-off speech heavily emphasised the 50km option and I was glad to hear that many riders chose the 50km and enjoyed the hell out of it. At rego time, 28 riders said they'd try the 100km, 18 said they'd try the 50km and a couple were undecided. There were a few DNFs and a few shortcuts taken by those who knew the area but, as long as everyone had fun, no rules were broken. I didn't get many photos this time, just a bunch of Max, the MGG apprentice. Here he is getting ready to open up rego. Send us your photos if you took some you'd like to share! 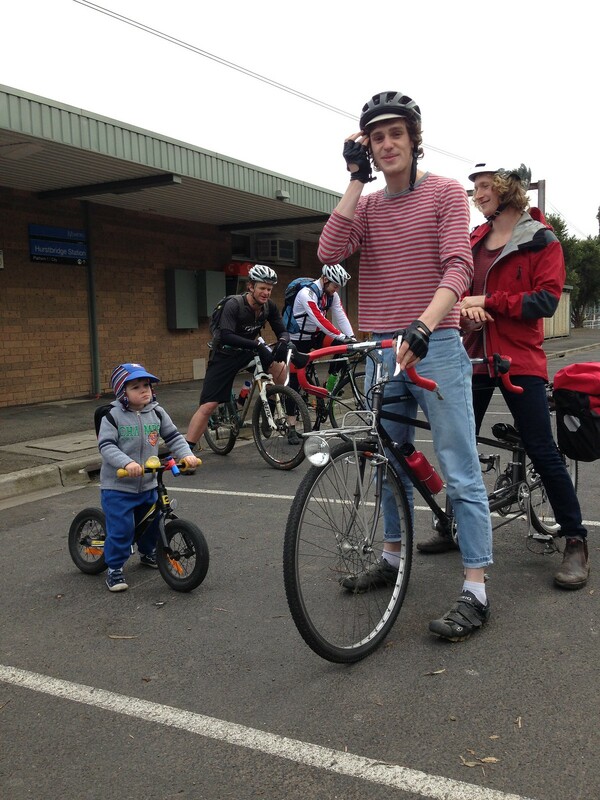 This was the first MGG ride where we had more riders than bicycles. That's right, two brave lads tackled it on a tandem. Chapeau, gentlemen! They were all smiles at the start and all smiles at the end, despite lifting said tandem over the fallen trees on the gnarly Tuan Track and struggling to pedal it up the steep and rough Mt Jerusalem Track climb. Well done fellas! Others recorded their own personal firsts - one rider's previous longest ride to date was only 30km and they successfully completed the 50km option. A tough course to do your longest ever ride on! Riders who made it to Toolangi reported that the staff were friendly and accommodating. Good to hear! The Toolangi Tavern is in a great location - there are a couple of different ways to get up to it and they all involve great climbs. It's also right near the bottom of the Sylvia Creek Road climb, gateway to the Toolangi State Forest and beyond. So much good riding in there, CX-friendly, lots of hills, not many people. 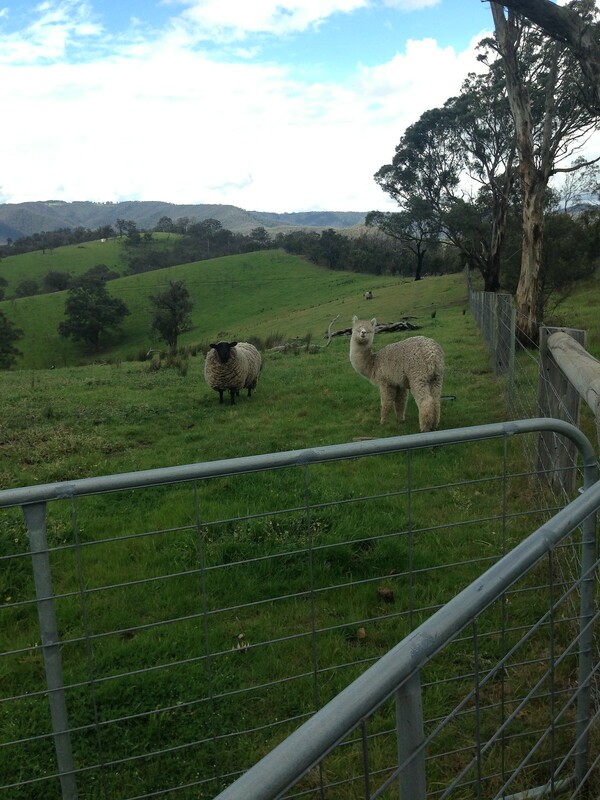 The northern section of Skyline Road was a hit - awesome views of the Yarra Valley. The views from Bald Spur Road were also popular though the road itself claimed a few victims. Tales were told of riders coming across bike skidmarks cutting right across the road and, seemingly, over the edge. One MTB rider found that even caution should be applied in moderation when he cooked his hydro disc brakes and had to lay the bike down in a somewhat controlled crash in order to self-arrest and avoid some serious air time. He lost a bit of bark but pushed on to the finish and laughed about it afterwards. Others had similar stories of fist-clenching excitement as they found themselves without traction on corrugated corners, their wheels bouncing around madly, unable to keep the rubber on the dirt long enough for it to slow their hurtling descent. Man, I love that road. Riders rolled back into Hurstbridge Station quite early in the day - 50k-ers who didn't dawdle - and we found ourselves a bit thin on the ground, organisationally-wise. I (Angry) was the designated man on the spot to meet finishers but I had to keep running back home to my wife who had food poisoning and was buried under a mountain of doonas in a cold sweat. So, apologies for the lack of "official" presence at the end and thanks to Nikcee for taking names and entertaining finished riders. Thanks to Scooter for putting the course together and providing gentle encouragement to get these MGG rides going again. Go see him for a massage - www.impactmassage.com.au - and ask him what other rides he's got planned for the near future - some very cool stuff is in the works! 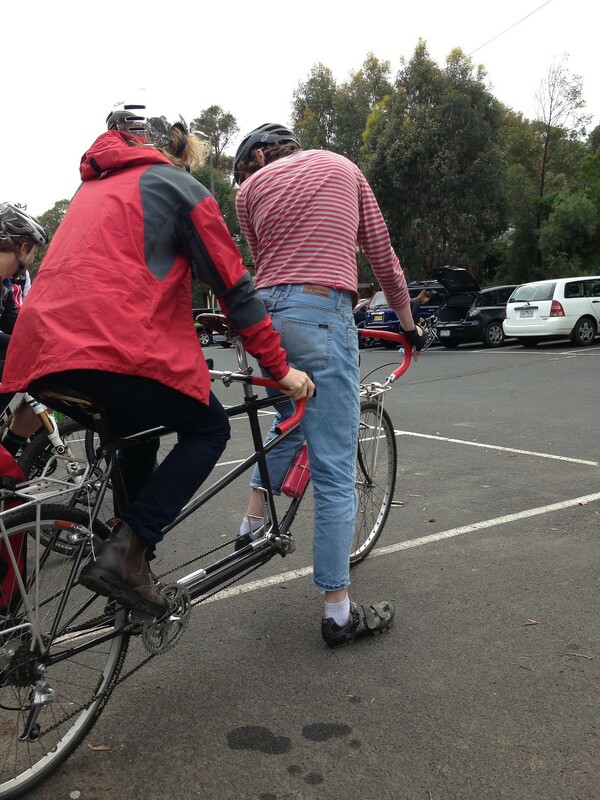 One last thing, George found a lone arm warmer while out on the ride and handed it in to MGG lost + found. If you lost an arm warmer that day, shoot us a message and we'll get it back to you. Next ride is coming up very soon and it's going to be awesome. Friday 13th December, The Night Grinder 2. Starting around midnight on Friday night, from Hurstbridge Station, heading up Bowden Spur Road where there'll be coffee, treats and laughs, and then back down to Hurstbridge for breakfast as the sun rises. We hosted this ride a couple years ago and it was a deadset winner. If you missed out last time, get on it! Details will be up soon - watch this space or follow us on the twitters - http://twitter.com/therewillbedirt. For now, make sure you block out the night of Friday 13th December and also the morning after (for sleepy times). Most memorable ride ever! I think the rider who had done 30kms previously is me. I managed to make it to the Toolangi Tavern following the course notes. 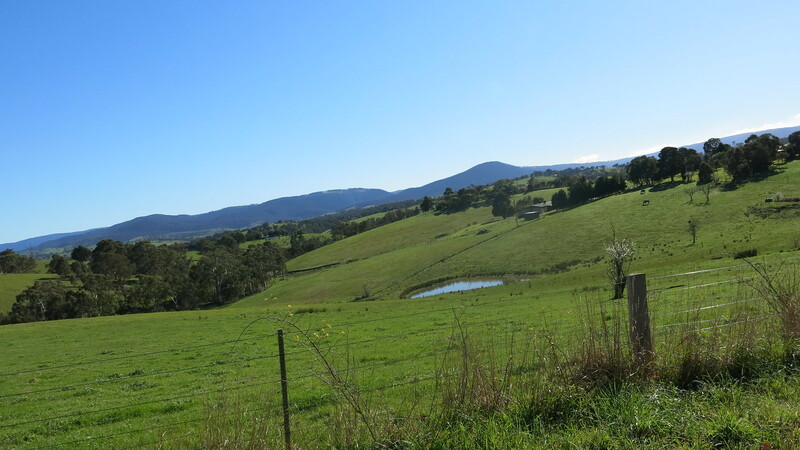 From there I followed the notes until reaching Healesville-Kinglake Rd at Old Mount Slide Rd. Then I took the tarmac home, travelling via Kinglake. I owe a debt of gratitude to Tobe and Al, who helped push me through when I felt like giving in. My total distance (according to Map My Ride) was 101km by the end of the day.